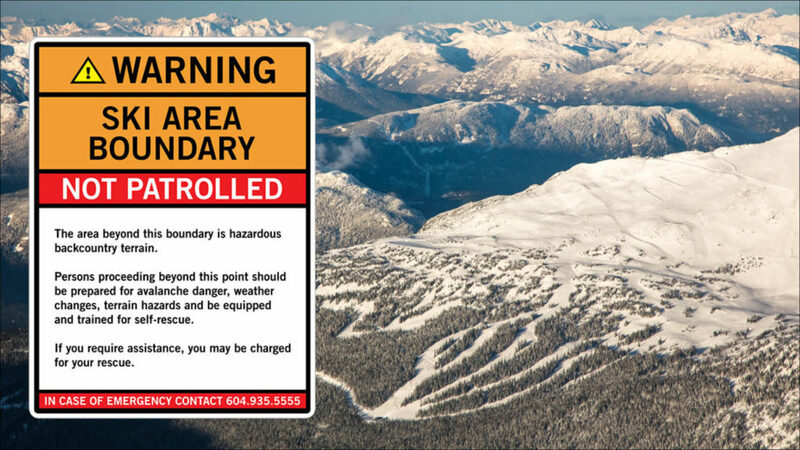 It doesn’t matter how badass you think you were back at your local resort, Whistler Blackcomb and the surrounding Coast Mountains are big enough to spank you. Don’t ever underestimate the mountains; they are in charge and gravity never sleeps. Stay on point, stay humble, stay safe. Learn how to stay safe in the mountains. This one automatically comes with a bit of whining and moaning from your more weak-kneed riding partners. Basically, the rule is: if there is more than 10 cm (3 inches) of pow on the ground, no one is waiting around while you get a coffee, hit the bathroom, adjust your bindings, take a phone call or whatever it is that you think is more important than fresh pow turns. Pow needs to be shredded, make sure to lock down at least one pow-core friend to watch your back all day, and anyone else holding you back needs to be cut loose. Tired of getting ditched by your friends? Learn why to take a lesson when it’s dumping. 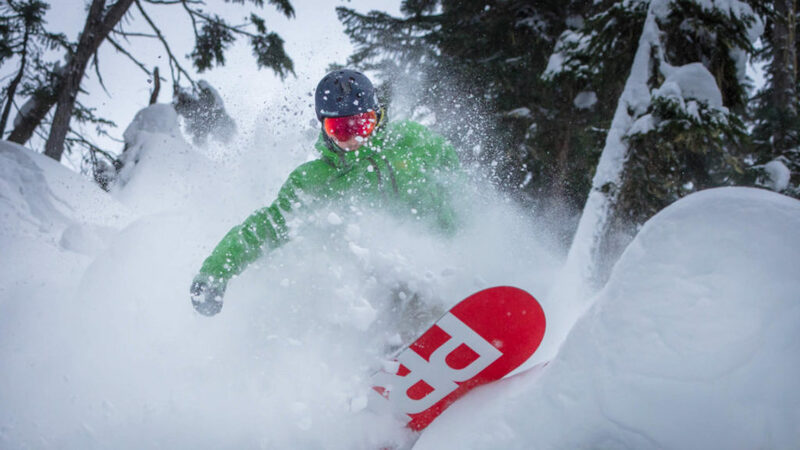 Brush up on your pow skills with these performance video series from WB’s Snow School. Since Whistler is melting pot of mountain culture, you can dress the way you want – wigs and animal onesies are celebrated! However, while no one will really make fun of you for duct-taped stretchy pants from the 70s, you can expect a few chuckles if you have a “gorby gap” of exposed skin between your goggles and your helmet. (Note: closing up that gorby gap will also keep you warmer and prevent sun/windburn). Looking hot and being cool are both highly subjective so express yourself! These folks in Whistler can help. Terrain parks are their own little microcosm of shred culture, so they have their own rider etiquette. Again, it’s mostly common sense (don’t stop on a landing or where you aren’t visible from above) and good manners (let those ahead of you drop in first), but there are some tricks out there to help your park runs flow. When you first roll into the park, it’s wise to take a scoping run to see what is there and how the landings are looking. If it’s busy, just wait on the in-run until the people who have obviously been there longer have had a chance to go. Once you feel like it’s your turn, and the feature is clear, simply raise an arm, or call “dropping”, and giv’r bud! And no one jumps without a helmet. Watch a video on terrain park etiquette. This short hike, on Blackcomb Mountain, leads to some of the best in-bounds fall-line steep skiing of any resort in North America and people will line up to get in there first. The line up is just a bunch of people standing at the bottom of the easiest path in, however, there has been a lot of debate over the years about whether one should stand in the line or ski past it and scurry your way to the top. It’s a very contentious topic. We recommend respecting the line and if you don’t, don’t say we didn’t warn you. That perfect patch of powder just under the ropes that looks too good to be true probably is. Especially that one off the road between Peak and Harmony. If you go down there you’re walking through creeks and likely spending the night wet, lost, and missing out on a shot-ski at après. Just obey the signs, ok? The main rule of après is to make sure you do it. Après is your celebration of an epic day on the mountain, or the start of a stellar night on the town, (or both). A useful après tip – when drinking from a shot-ski, don’t forget to line your people up from shortest to tallest to minimize spillage and maximize the party. Finally, if you leave Whistler without seeing the Hairfarmers play après somewhere, at some point, you have not done après correctly. Explore your après options. 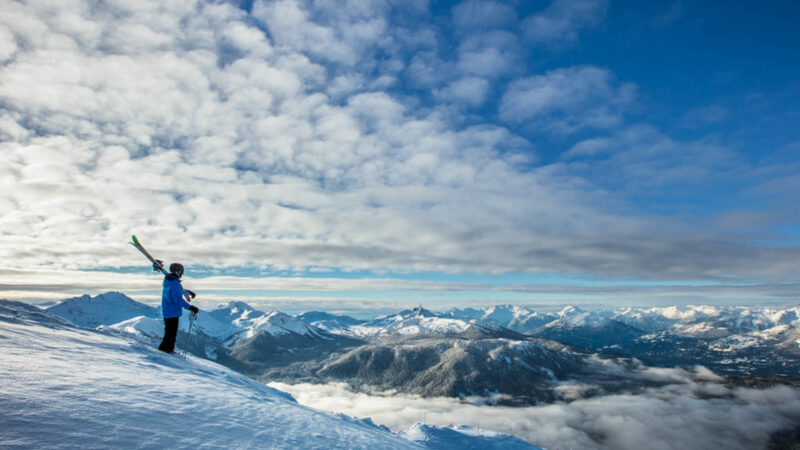 While adherence to these guidelines will provide a more exciting, authentic experience for you, the only rules that really matter in Whistler are being friendly, playing safe, and doing what makes you happy. See you on the slopes.